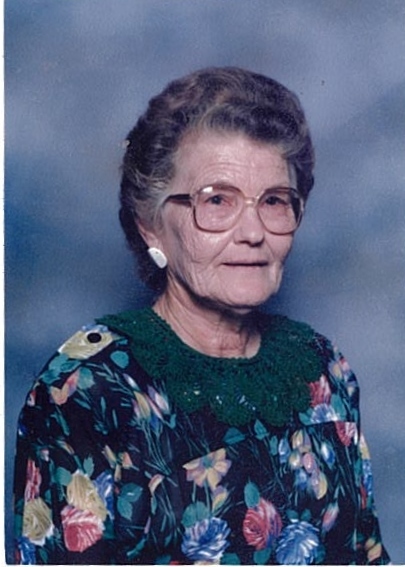 Mrs. Leathell Voncile Varner went to be with the Lord on Tuesday, November 27, 2018, at the Florala Nursing Facility. She was 91. Leathell Voncile Riley Varner is survived by her daughters, Judy Phillips, of Madison, FL, Teresa Hunt (Rev. John Hunt), and Lequita Smith both of Andalusia; six grandchildren, Michael Smith (Leigh Smith) of Garland, Joseph Wheeler of Austin, TX, John Wheeler, Michelle Gay (Tony Gay), Mindy Day (Rev. Travis Day), Jeremy Hunt all of Andalusia; eleven great-grandchildren: Addy, Emmy, Lilly Smith, Jared and Olivia Gay, James, Kristie, and Lance Wheeler, Reagan, Ross, and Carver Jude Day; a brother, Mack Riley (Mary Lou) of Silver Hill, a host of nieces, nephews, extended family, and friends. She was preceded in death by her husband Hyron Otis Varner, her parents Claude and Elma Riley, her siblings John Joseph Riley and Virginia Marie Presley; and two sons-in-law Layron Wheeler and Jake Phillips. Funeral services will be held 11 a.m., Thursday, November 29, 2018, at Andalusia Full Gospel Tabernacle. Rev. John Hunt will officiate and special music will be provided by Rev. Travis Day. The family will receive friends from 5 to 8 p.m., Wednesday, November 28, 2018, at Keahey Funeral Home. Interment will follow in the New Home Baptist Church Cemetery in Conecuh County. Keahey Funeral Home is entrusted with arrangements.